The Chief Justice Sophia A.B. 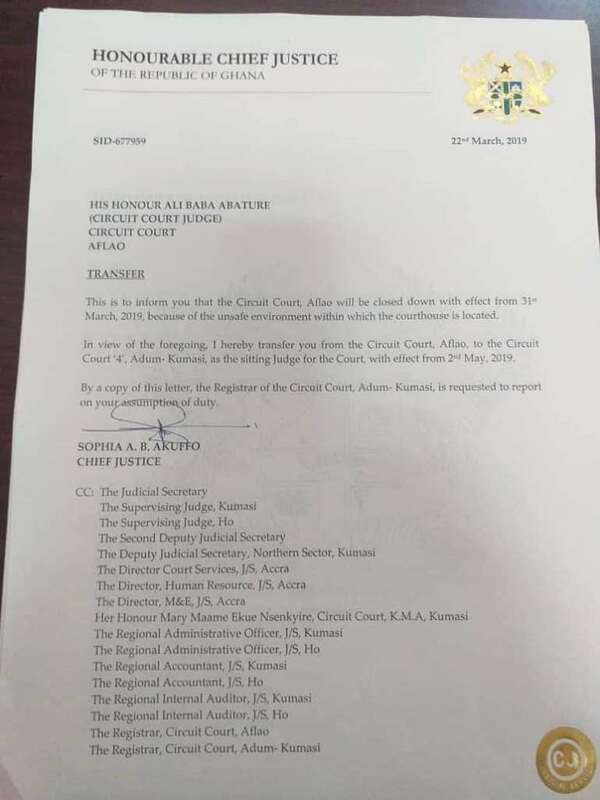 Akuffo has directed for the closure of two lower courts of justice in Aflao in the Ketu South municipality effective 31st March 2019. These courts are the Aflao District court and Aflao Circuit court. A statement cited by this website indicated that the circuit court has been closed due to the unsafe environment within which the courthouse has been located. 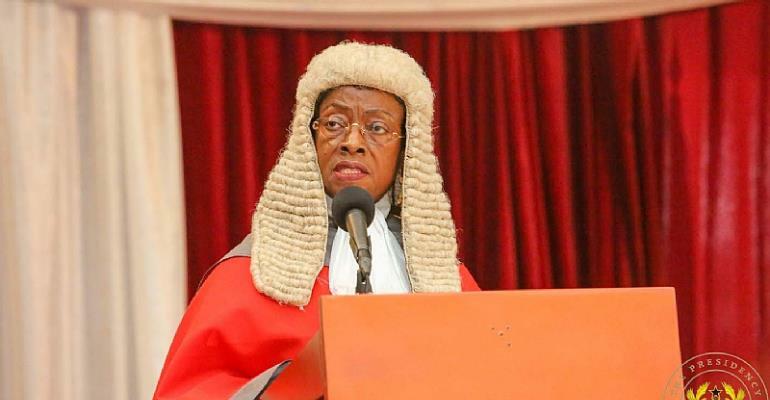 The Circuit court situated at Guta - Akporkploe, the road leading to the Diamond cement factory on which stretch the circuit court is located has been in a deplorable state and dusty as well as the dilapidated structure has forced the Chief Justice to carry out the action. In a similar way, the building of the Aflao district court which is located adjacent the Aflao police station is a property of the Aflao Urban council and it also houses the Birth and Death registry and the District Environmental health offices. The workers have lamented the unhygienic condition especially the lack of washrooms for the judge and staffs. The Chief Justice has carried through her threat to shut down lower courts that are in deplorable condition and do not meet the standards of edifices for justice delivery in the country. In the meantime, all cases have been directed to Agbozume (also in the Ketu south municipality) and Keta Circuit and District courts respectively. 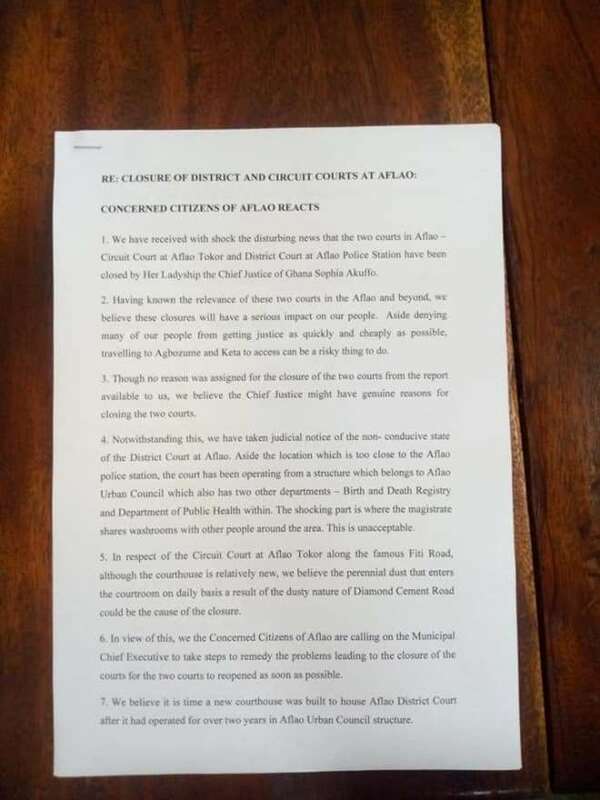 Residents within Aflao including a group named, Concerned Citizens of Aflao have bemoaned the decision because it will hinder justice delivery as well as the cost involved in travelling to seek justice elsewhere. They are calling on the municipal chief executive to quickly take steps to remedy the problem as soon as possible. Richard Nyavie, a resident in Aflao hails the decision of the Chief justice. "The previous and current judge including staffs of these courts have endured enough. I think it's a good decision but i plead with the development authorities at the local level to act fast" he said.